Here is a closer peek at the "Happy Birthday" sentiment that I used the coordinating Cute Hoot dies to cut out and attach to the ribbon - love these super cute new tags!!! 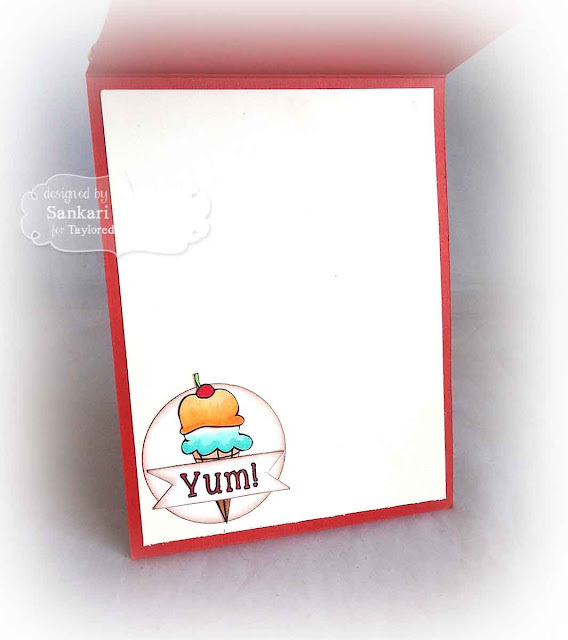 There are so many possibilities with this adorable stamp set - I want to make a card with all of these super cute images and combine them in all kinds of fun ways with each other and other stamp sets - yay to lots of possibilities! 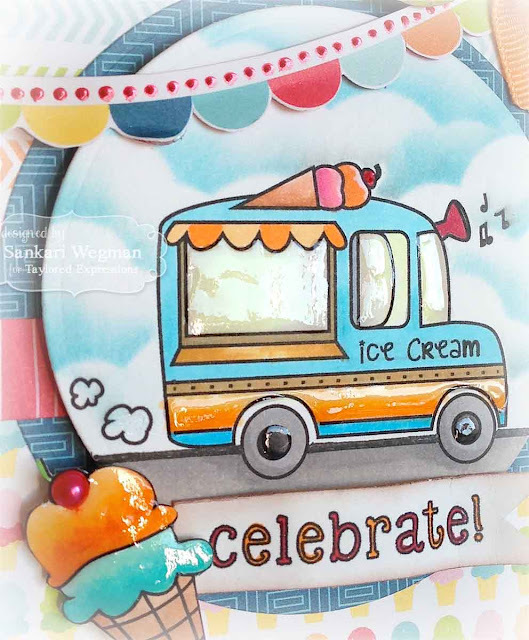 And to check out more awesome ways to use this stamp set - please check out these amazing creations from all these amazing artistes hopping today! Today we at Taylored Expressions are showing more samples from the fabulous July Key Ingredients kit featuring the DP from Basic Grey's Knee Highs (and it comes with a coordinating stamp of the month - check out yesterday's post!)! The Key Ingredients kits are an awesome way to get your creative mojo on because everything comes color coordinated - ready for you to get your craft on! Thanks so much for stopping by today! Hope you are having an amazing Thursday! 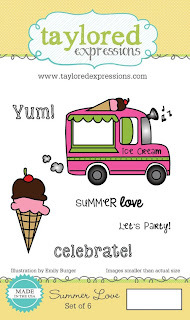 Hope your summer has been sweet and wonderful! 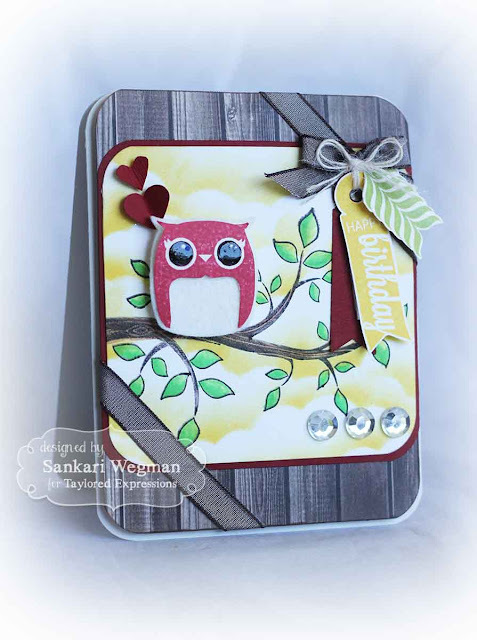 Today the ladies from the Taylored Expressions Key Ingredients Design Team and the Baker's Dozen Team are coming together to show projects from the newest Key Ingredients Kit for July ALONG with a coordinating Stamp of the Month - which this month is called: Cute Hoot!! This is such an absolutely adorable stamp set!! 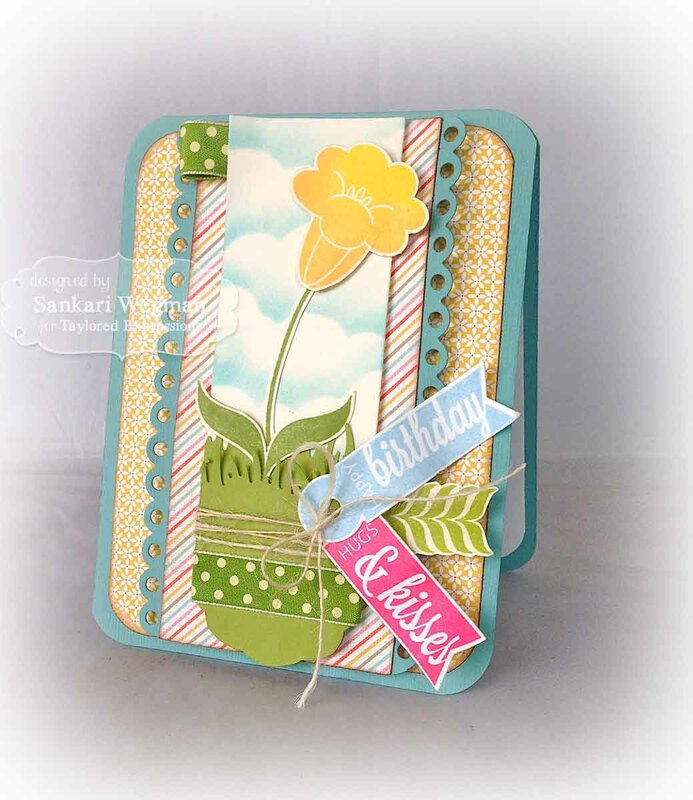 I love the owls in the stamp set, but today, I chose to use the beautiful flower and coordinating leaves with the sweet tag sentiments: "Happy Birthday" and "Hugs & Kisses"
I sponged the clouds using the Cloud Border die and then created some grass with a MS grass punch and then cut the sky and earth out with the Bookmark Die. To this I then added the flower image (which is a closed stamp so it is so easy to already get a colored image) with two colors of yellow. And then I added a stem and leaves in the same way - giving them some dimension by popping it with some foam dimensionals. 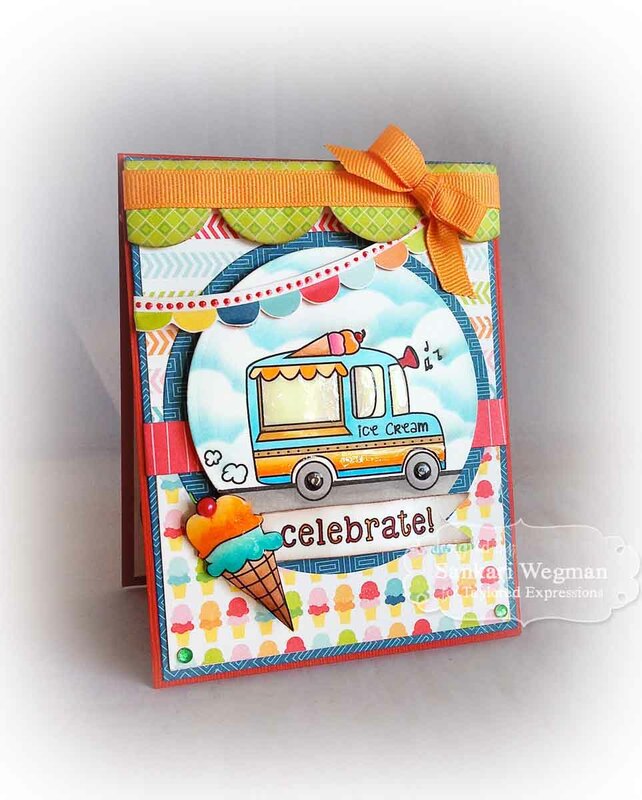 This is such a sweet stamp set - and I absolutely LOVE these papers - so much fun - and the best part is that it comes with coordinating card stock and ribbon! Makes it so easy to get ready to create!!! Please stop by tomorrow for more peeks!! The Share Joy campaign is an invitation to celebrate the joy of card making and to share that joy with others. 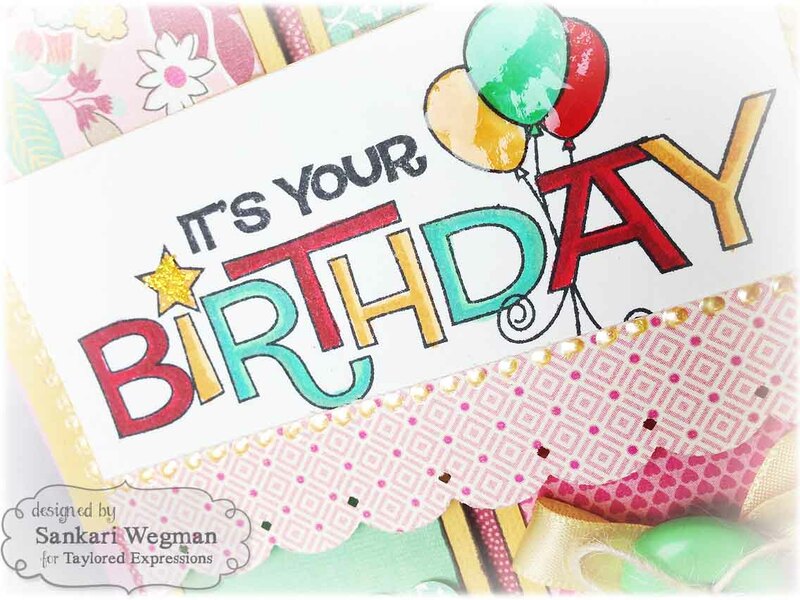 The gift of a handmade card can bring a smile to anyone’s face, and we want to bring as many smiles as we can to the faces of people around the world! 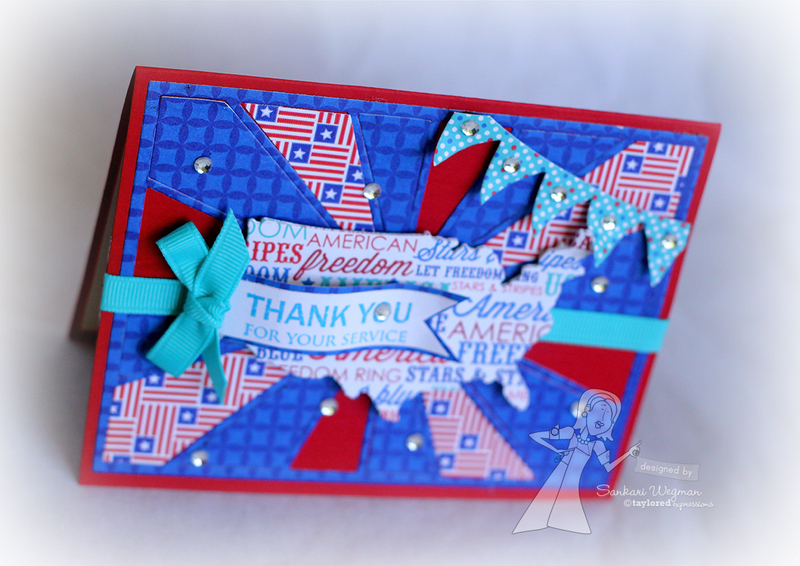 Please join us in creating and sending handmade cards that will make a difference in the lives of others. 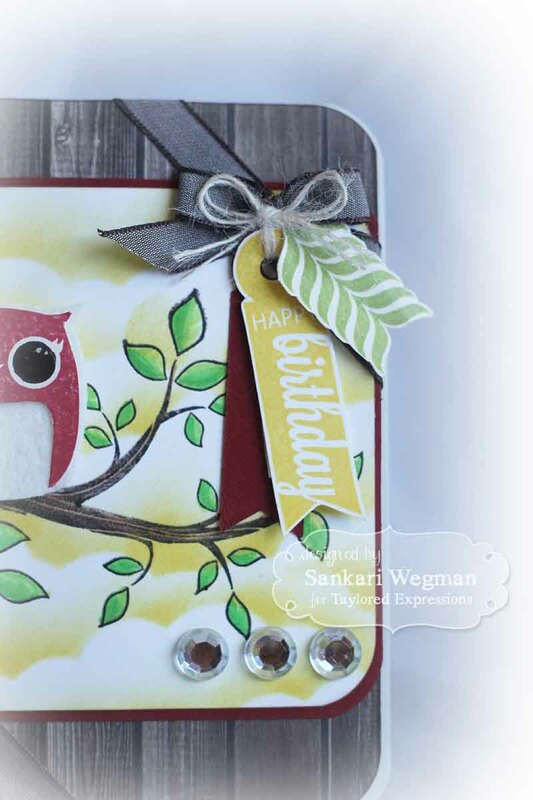 I love this campaign because it is all about focusing on why we create handmade cards and projects in the first place - to share joy - to bring joy and to let our words be of comfort and joy. 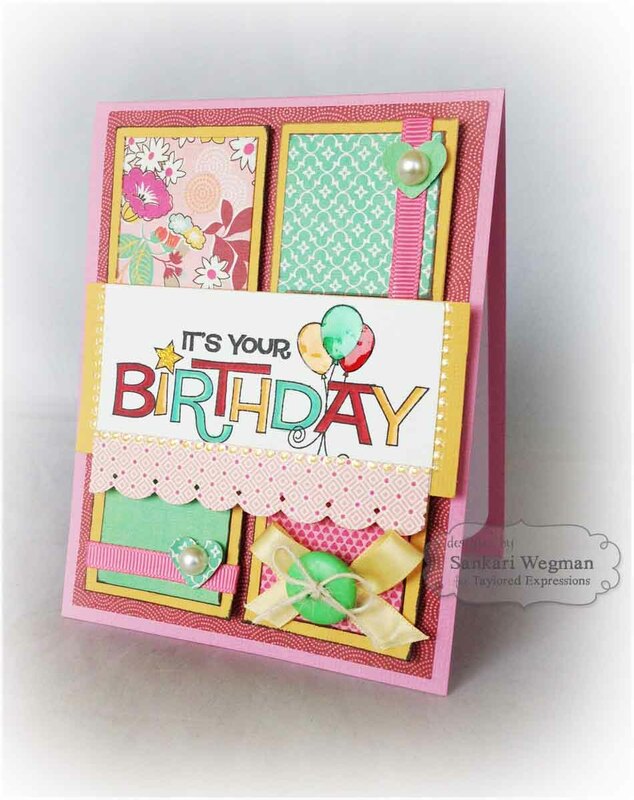 I think my most favorite thing about creating cards to give to someone is to see the look on their face when they open it - just their smile makes me so happy :) It makes the whole card making process so sweet and so much fun! 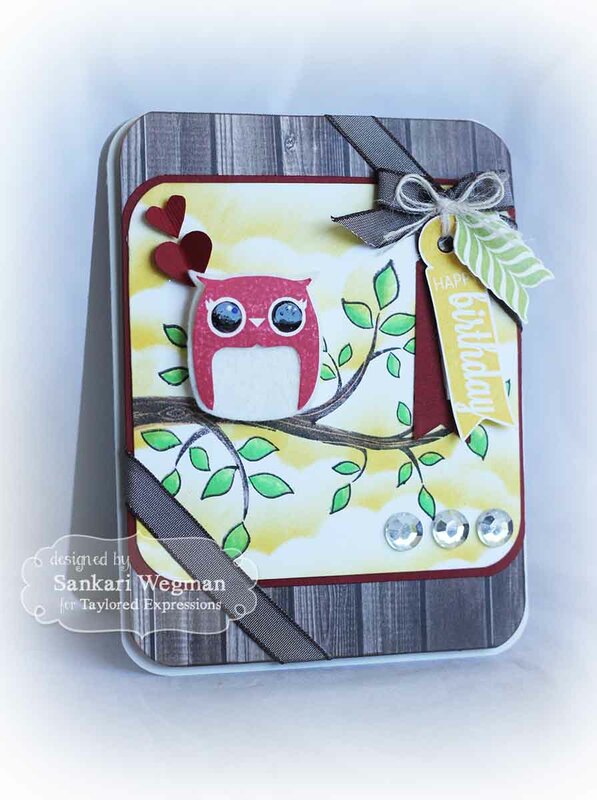 Today, I made a fun little encouragement card using the Make the Grade stamp set: I love the simple sentiment: A+!!! Who wouldn't want a card with straight A's - I know that I always did in school - and couldn't wait to have my mom put it on the fridge!!! LOL! Accessories: dimensionals, corner chomper, green grosgrain ribbon, bling, EK success mini scallop punch and liquid pearls. 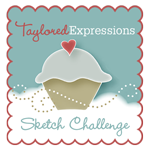 Check out Taylor's Blog today to see how you can participate in this campaign and Share Joy where you can donate your cards to a different charity - the first one will be to donate cards to hospital chaplains - and if you use TE stamps and send them in by August 16th, your card can be featured on the homepage for the September release! 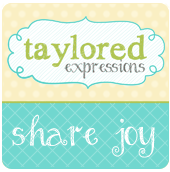 Learn more about this Share Joy campaign and start by sharing the Joy!!! 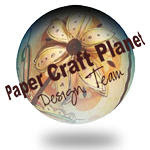 Check out all these amazing designers who are sharing the joy!! 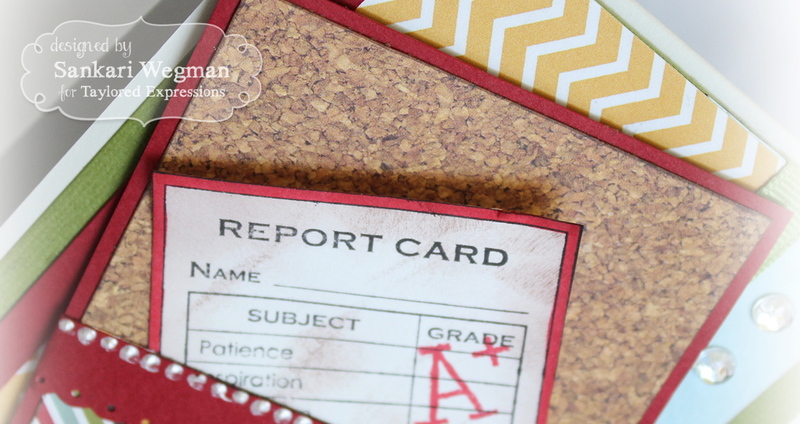 Thanks so much for stopping by today - you are an A+! And hop by later this week for more fun from TE! 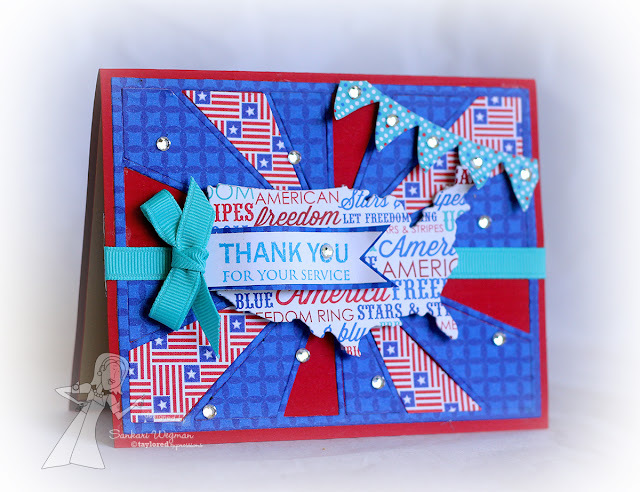 Hope you had a wonderful and spectacular 4th of July for all my American friends and a lovely week! We had a super sweet holiday spending time with some close family friends and went down to the water to see the fireworks light up the sky! It always amazes me - every single time, I am just blown away by the colors, combinations and shapes of the fireworks that light the sky- but more than anything it is watching them with my friends and family - that is really what makes everything so special. Accessories: die of the United States comes with the Stars & Stripes stamp set with Coordinating Die, Pennant Border Die, Ray of Sunshine Cutting Plate , Bling, ribbon and dimensionals. Wishing you a wonderful weekend of happiness!! 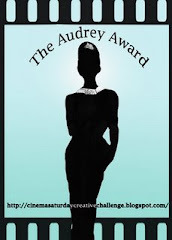 Verve Diva Inspiration - July - Mojo Monday 300!